There are many Lake Tahoe attractions to explore all year long. We have compiled some popular activities here to make a Lake Tahoe vacation guide, and these are just a few ideas that might be fun for you and your family. Take some time to really check out this information, as you will find it very extensive. Also included is some general information for your reference. Enjoy this quick Lake Tahoe vacation guide, and we hope you use it time and time again in the future! Have a great time while visiting our beautiful Lake Tahoe! After visiting Lake Tahoe attractions, get back home safely. Whether you are looking to see art at the local community college or at a village center, you will see some unique works at these art galleries. Ride through paradise and get muddy with friends and family. Cool water and warm sunny days. Bring that sunscreen, we are closer to the sun up here in these mountains! Bring in the cooler seasons with carriage and sleigh rides through picturesque scenery. Try your luck at the Lake Tahoe casinos. Also includes wonderful dining and entertainment options! There are many dining options in the South Lake Tahoe area beyond this favorites list. For your enjoyment we have listed some well rounded choices. When emergency strikes, be prepared with a list of resources. Enjoy the finest in plays and musicals. No matter the genre, Lake Tahoe has plays of all kinds! You can`t leave Lake Tahoe without catching that Mackinaw or learning the art and science of fly fishing. Did I hear Golden Trout? Lake Tahoe and the Carson Valley offer world class golf. Not to worry any time of the day with our great weather enables you to pick your tee time. Get a good perspective on how it was like when the pioneers first saw Lake Tahoe. Horseback riding is a great way to embrace the environment and enjoy the history of the area along with our clean air and great vistas. Because Lake Tahoe is considered the Jewel of the Sierra, we treasure its beauty and preserve as much space for the public. Each of these parks are special and unique. The Lake Tahoe Basin offers a variety of rock climbing experiences that range from mild to moderate to extreme. You can climb the multi-pitch classics on clean granite and you can test your strength and endurance working out on sport routes. There is lots of great rock climbing opportunities just minutes from South Lake Tahoe. Experienced climbers may want to visit one of several local sport shops to get detailed information about climbing routes. Beginners will be able to more quickly build their skills and confidence by following the lead of an experienced climbing guide on their first few outings. Tahoe is home to any kind of snow sport available. 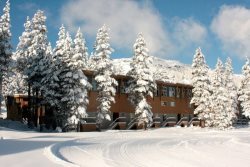 Enjoy Alpine skiing and boarding, Nordic or Cross Country skiing, Skijouring, sledding, ice skating and snowmobiling. Try infamous California wines and more from this list of vintners and wineries.